View the latest gig information. Another start to a new year. Welcome to 2007 and my newly updated website and might I add, about time! Hoping 2007 brings a happy and healthy year. Peace and love to all. Firstly, a follow up CD is hoping to be recorded this year with the band, �Project 3� which has been an ongoing project with my two buddies, Simon Patterson and Gerry Pantazis. We will be doing a few gigs around town this year, so check my website for regular updates. I now have a Myspace page, www.myspace.com/craignewmanbass which is under regular construction and is in the hands of a very experienced myspace addict...my daughter, Celeste! Here you will find some current and old pictures, upcoming gigs, music and a few clips. T.V. commitments commence late February with Channel 7�s, �Dancing with the Stars� in Melbourne, with the house band for another 10 week season. This will be sixth series I have had the privilege of being a part of. Over the past few months I have been recording some new tracks for Melbourne based, pianist composer/arranger and good buddy, Phil Turcio. This is a particularly exciting project for me because its features some international musicians including, Will Kennedy/drums from the �Yellow Jackets� and Gary Meek/Saxes from the Dave Weckl band. Release date expected sometime soon in 2007. A long-overdue update finally comes to fruition! There's a new Gigs page to list all the upcoming shows, an updated Discography, a revised photos gallery, and a host of changes behind the scenes. We're hoping to add some more photos as well as get the Gear page happening at last. UPDATE (16 January 2007): The Gear page is now fully operational! 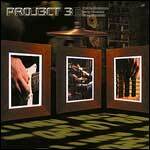 Ok, we had the release of the new ‘Project 3’ album, with my buddies Simon Patterson (guitar) and Gerry Pantazis (drums). Rehearsals commence for the new production of the stage show, ‘The Full Monty’ early December. Show opens at the State Theatre, Melbourne, New Year's Eve with an anticipated finish mid-March. Currently I am depping regularly for ‘We Will Rock You’ playing at the Regent Theatre, Melbourne. 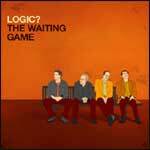 The new up-and-coming Logic CD (The Waiting Game) with brothers Tim Wilson (sax), Glenn Cannon (guitar), Darryn Farrugia (drums) and myself is expected for release in early 2004 as well. December 15th - 20th I’m happy to announce Farnsy (John Farnham) is back on the road for some live gigs. I’m heading to Queensland and New South Wales with the band. Returning to Melbourne on the 21st of December, I then start rehearsals for Carols By Candlelight with the John Foreman Orchestra for Christmas Eve performance at the Sidney Myer Music Bowl. Then its straight back into rehearsals for The Full Monty's opening night, New Year's eve. With all of this, I am also still committed to teaching my regular students at home.